Other songs benefit from this intuitive approach in less obvious, but equally rewarding ways. After the darker paths of Nowhere to Here, Blue Rodeo found themselves ready for a lighter touch, while still blending the introspective with the outwardly sunny. From the opening, front porch swing of "Moon and Tree," with its sparkling banjo crosstalk and pedal steel quickstep, it's apparent that Blue Rodeo has found a new groove to kick up the dust. "I Could Never Be That Man" is irresistibly upbeat and rolling, while "Falling Down Blue" tells a lover's tale with the kind of grace and beauty that practically leaves Blue Rodeo in a class all their own. With the band trading instruments to unusual effect, the song seems to float in space, timeless and lovely. In a similar vein, "Beautiful Blue" unfurls slowly like a morning fog, wandering delicately over an echoing piano, while "Brother Andre's Heart," a surreal story of a preserved heart, bruised knees and a hallucination, shows Blue Rodeo's sense of humor remains intact. "We've grown more confident in the whole process," says Keelor. "We just went in the studio and began with no arrangements and the songs just kept piling up. We never had a chance to fuss with them. That was nice. This is a real band record, it's not dominated by the singer-songwriters. We were more relaxed this time." While Webster's defines tremolo as "a tremulous effect produced by rapid reiteration of the same tone," the title seems to fit all the musical cracks and crevices Blue Rodeo create, those unmistakable flashes that appear when the band's collective unconscious takes over the proceedings. "We've come to a peaceful resolution," says Cuddy. "When you're a band for a long time you inevitably suffer from constantly giving your contribution over and then having it altered by the group, where it's rejected, or changed. Eventually people get so pissed off. In the last year we've done our own thing, which was incredibly beneficial. Now we're getting our rocks off knowing that we make a singular sound. That's very satisfying." "We didn't get so obsessed with details this time," concludes Keelor. "We just played it to friends and made casual decisions. We've labored so much in the past. You can get so nuts you don't have any idea of how it's going to sound six months from now. We were a lot more playful this time, and the result is a lot more enjoyable." Noteable Entertainment & Events is a Vancouver based booking agency, party rental, entertainment services and event production company. 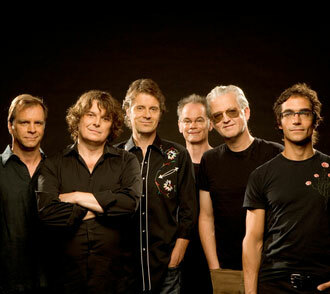 If you are interested in booking Blue Rodeo please contact us.